Polydrug use is common and can result in complex interactions, with the drugs having additive, antagonistic, or overlapping effects. 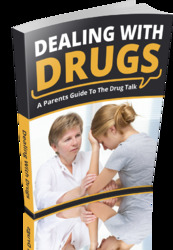 Alcohol is commonly consumed in addition to abused drugs. In a study on alcohol and cannabis (81), it has been shown that when they are administered together, the result was one of additive impairment. This finding was confirmed in a recent UK study (82). However, in the laboratory setting, simultaneous administration of alcohol and cocaine seems to minimize alcohol-related deficits (75).